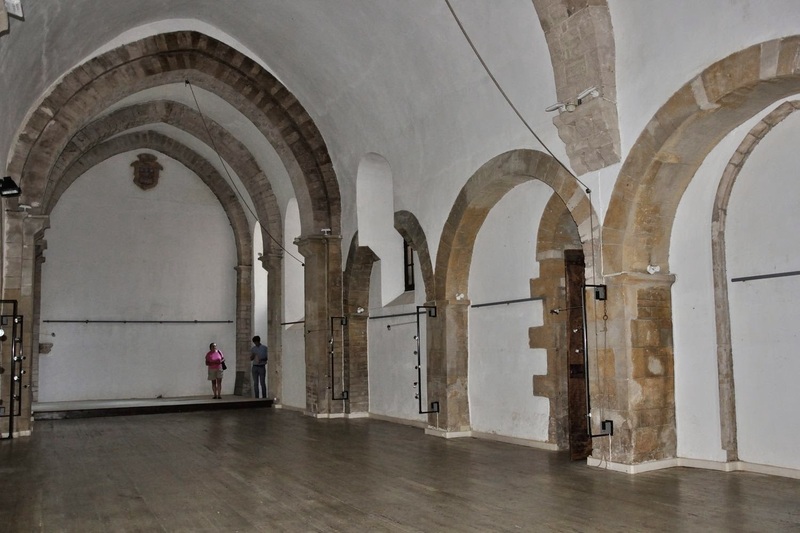 As mentioned in previous blogs, it is not always easy to get into a church. The most frustrating visits are those were, after a drive of more than an hour, the key holder of whom one does not have a phone number appears not to be home, or when one is driven from pillar to post by a non-cooperative council employee, at first on the phone, but sometimes also after a personal encounter. However, giving up is not our strongest feature. Finally there is only one commune, Etrigny (Champlieu), where an employee, and even after a phone call the mayor, refused to open the church door. Having said that a score of 1:327 (the number of churches we have seen from the inside, either because the church was already open, or because someone arranged a key) is not a bad result after all. The church in Chassey-le-Camp turned out to be a doddle. When we passed by there on a second church hunt the person living at the “house with the metal gate next to the church” turned out to be home. The woman in question was very friendly, was very eager to have a little chat and told us that she hardly ever got visitors for the church. This church has since been marked as “being dealt with”. Tournus turned out to be, after having been sent from the proverbial pillar to post by several council employees, well worth the effort. 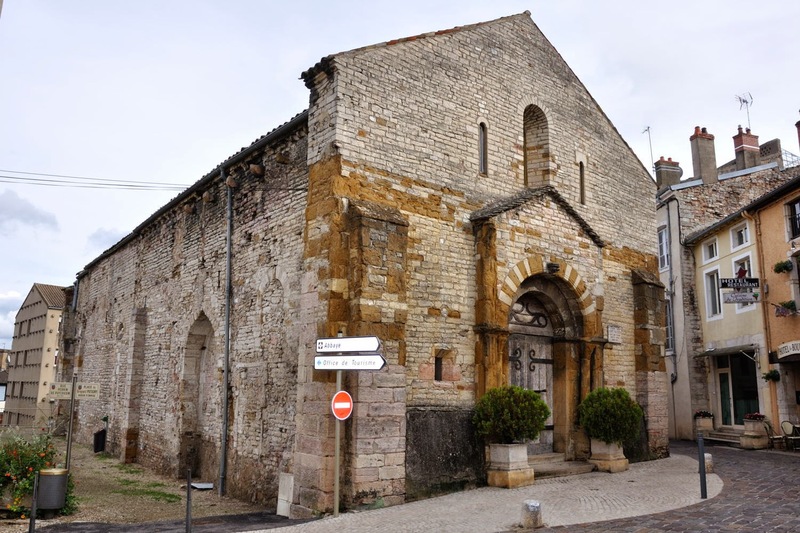 As described in a previous blog we were finally phoned by someone from the mairie in Tournus who seemed quite eager to show us around the the two remaining churches there. Hence we drove once more to Tournus, and at the given day and time the man from the mairie turned up. He appeared to be a very enthusiastic and knowledgeable young man, recently voted in the town council. 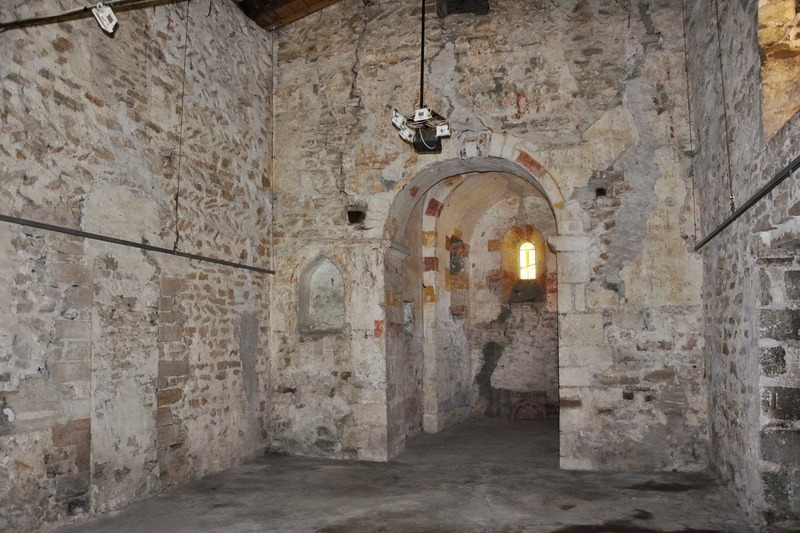 He was very polite, spoke eagerly very good English, and was made responsible within the council for the minor Romanesque buildings in Tournus. 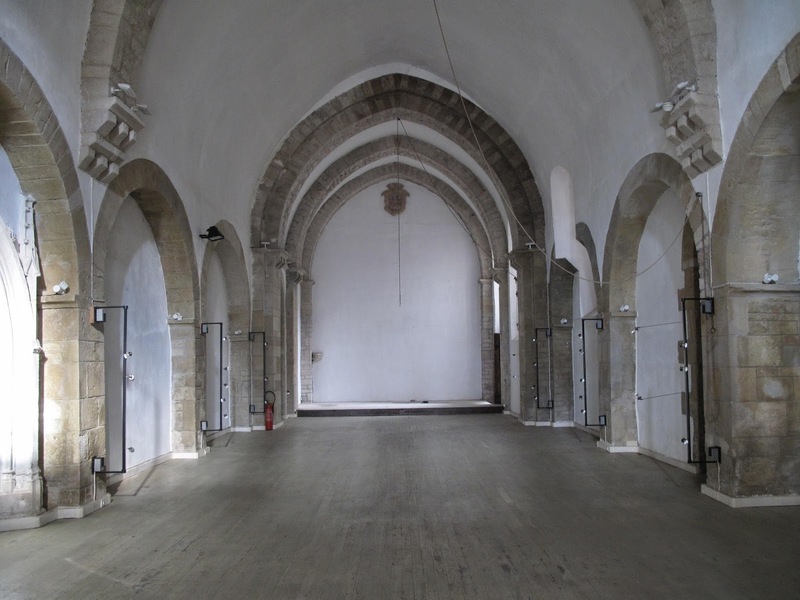 He brought us first to the Saint-Valérien, a former church, later cinema. There had been serious problems with the lease of the building in the recent past, involving court orders and the like. 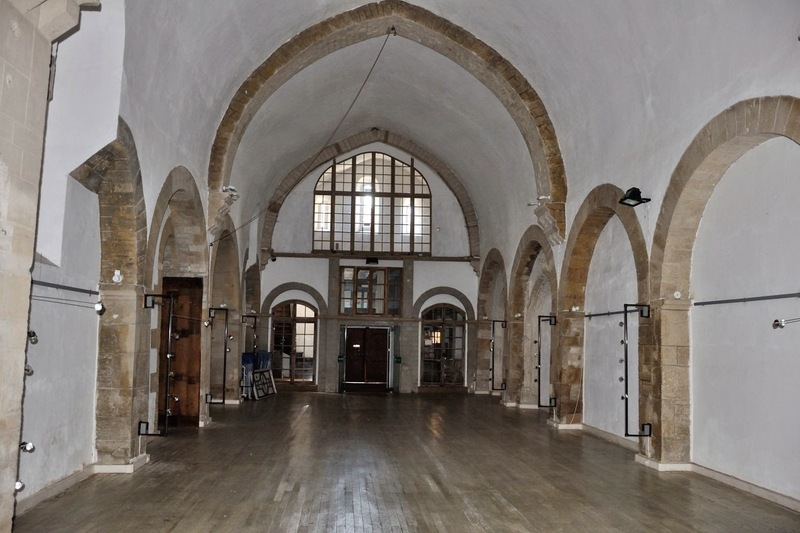 The building is for rent, but the council is still waiting for a final ruling of the courts with relation to the previous tenant, an antiquarian. Our host told us that he had recently admitted an artist inside the building, who wanted to record music because of the excellent acoustics of the place. 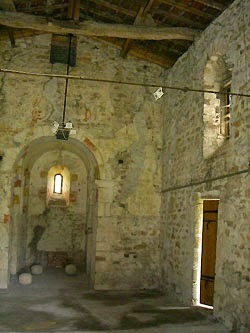 After this building he brought us to the Chapelle Saint-Laurent, a pre-Romanesque church. The most spectacular feature of this building is undoubtedly its age. 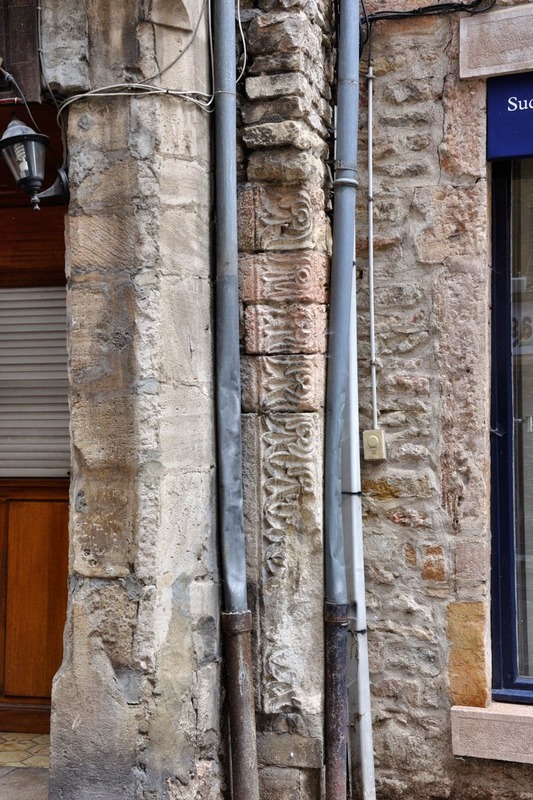 And on the way back he casually showed us a Romanesque frieze, vertically embedded in the wall of a building on the high street. Most likely this frieze originally belonged to a long gone church or house which was located near there. In short, it took us some trouble to get inside these buildings, but it had certainly been worth the effort! 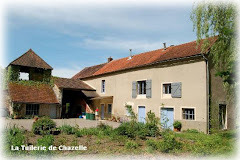 The link to the website of La Tuilerie de Chazelle can be found here. 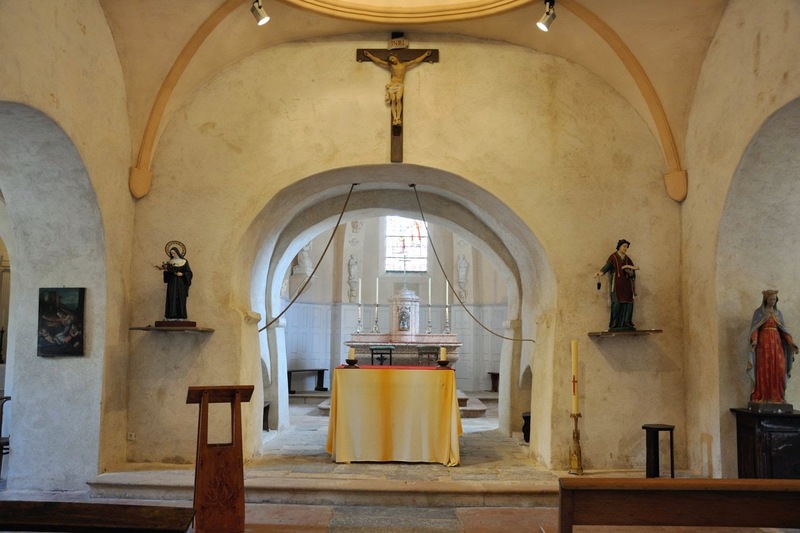 I am desperately trying to get hold of some interior photographs of churches that were closed during a previous visit. We have tried all sort of things: just revisit the church at random (not very successful for the remaining churches), sending an e-mail to the marie in question (often also without success), phone the marie beforehand (idem) or, on the day the mairie is open, pop by the mairie. This last option has worked most of the time. 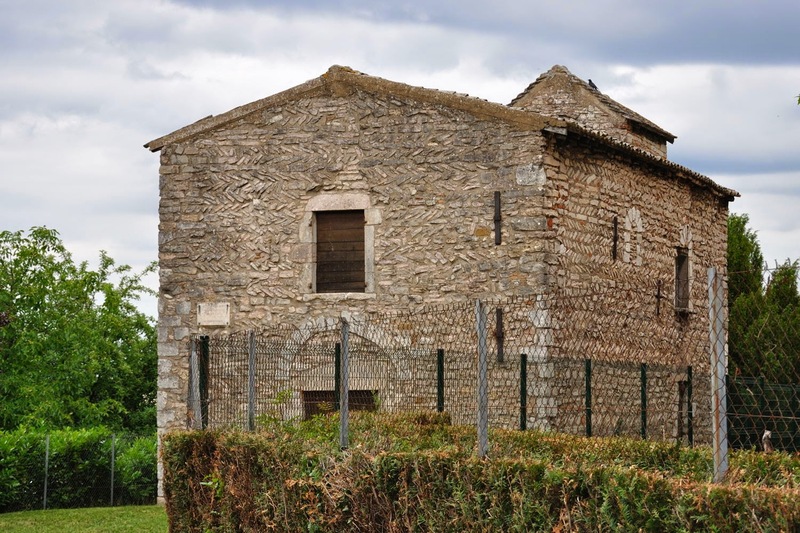 Tournus still has two churches I would like to see from the inside, the Saint-Valérien and the Saint-Laurent. An email to the mairie stayed unanswered. Various phone calls resulted in endless waiting times, and when we finally got someone on the line, she told us that the key was not available with the mairie, but with the local museum. In the meantime I had found some interior pictures of the Saint-Laurent on the website of the C.I.E.R., the Centre International d’Etudes Romanes. A website usually means an email address, so it would be worth asking whether they had a key as well. The email however was never answered, not so strange considering how up to date their website is. At the museum we were more successful. Well, successful? At least someone there was adament that they certainly did not have a key, and that the mairie had been bullshitting us when they told us they did not have the key. We just came back from a visit to the mairie; we will be phoned to make an appointment. Where had I heard this before? Literally seconds ago the phone rang, and we have an appointment! To be continued…. Saint-Laurent - Tournus - Photo C.I.E.R. La Tuilerie de Chazelle is very close to Tournus, where the former abbey church is (almost) always open.